Mice often squeeze their way through holes found around pipes, wiring, and eaves on the outside of your home, which lead them directly inside. This is why it’s not only important to make sure that you thoroughly remove the mice infestation, but also that all entry points are sealed to keep the problem from reoccurring. There is a wide variety of traps on the market that can help you eliminate mice from your home. To ensure your trapping efforts are successful, the key is to use the correct ones and place them in areas where mice can easily reach them. Snap Traps – One of the most effective ways to capture mice is by using small wooden or plastic snap traps. There are many features you can choose from such as indoor/outdoor use, reusable, disposable, dead rodent visibility, blinking kill indicator lights, etc. Live Traps – There is no kill mechanism involved with live traps, as they are meant to be used for catch and release rodent control. However, it is illegal in many states to relocate mice. So if the thought of trapping them makes you uneasy, you should hire a professional mice exterminator such as Critter Control® of Orlando to do the job for you. Glue Traps – The glue traps contain a proprietary glue formula that doesn’t require any bait to be used to attract the mice. They will remain effective as long as the traps stay clear of dust or insects. However, once your trap contains either of these things, or has caught a rodent, it will need to be discarded or replaced. 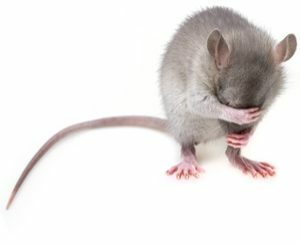 When it comes to this method, many people see it as inhumane way to trap mice because they can experience a slow death as well as be subjected to bodily harm, which is unpleasant for both the homeowner and rodent. First, you will need to make sure you get a lot of traps to place around the house. The more traps you set, the more chances you have of catching mice. Look for any signs of mouse droppings and put several traps in that location. Since rodents are suspicious of new objects in their environment, let the mice get accustomed to the traps by allowing them to take the bait from the unset traps for a couple of days. Once the mice feel like there is no danger, they will be more inclined to feed off of the trap that’s been set. If you have been unsuccessful in trapping the mice yourself, or feel this task should be handled by a professional, then please give Critter Control® of Orlando a call at 407-295-7194. Our technicians have years of experience in humanely trapping mice from homes and businesses and are happy to help you in any way we can.